Comments: Cannas are attacked by leaf-tiers. 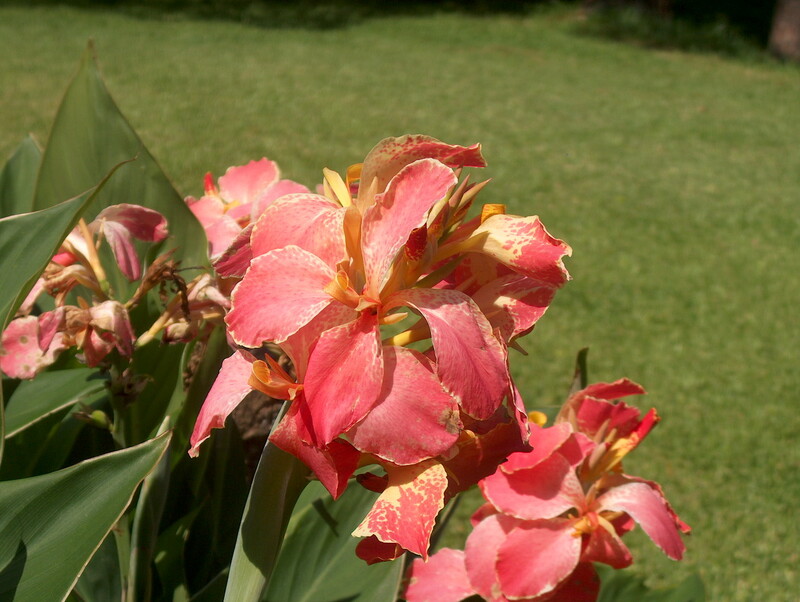 For the border, there is nothing quite like the large foliage and vividness of flower of cannas to add a tropical feel. At the edge of the cold hardiness zone, a heavy mulch in winter will help insure survival. Gertrude Jekyll, the highly acclaimed English garden designer once said about cannas, "The hondsomest foliage in the border." Hundreds of new canna cultivars have been introduced since Ms. Jekyll grew them in her English gardens at turn of the last century.